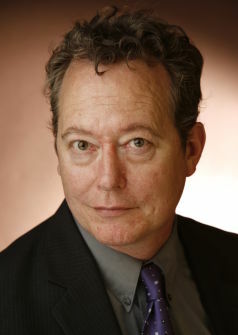 Jeffrey Price is a professor of piano and opera at the University of Utah, a position he has held for eleven years. In addition to teaching piano and coaching singers, he serves as the musical director for the University’s Lyric Opera Ensemble. During a versatile and multifaceted career, he has been extremely active as a pianist, coach, accompanist, soloist, chamber musician, conductor and musical director, (for opera, musical theater, and dance), as well as composing. For over ten years, he was a co-director of the Contemporary Music Consortium, which presented concerts of new music in Salt Lake. He has composed chamber and orchestral music, piano pieces and songs, including several works for stage in a variety of idioms. For the last eight summers, he has been a member of the faculty at La Musica Lirica, a program in Italy for young American singers, where he has musically directed productions several full operas in Italian. During the 2010-2011 season, he is slated to appear as a soloist with the Salt Lake Symphony, as well as conducting the University’s Lyric Opera Ensemble production of Monteverdi’s L’incoronazione di Poppea. Mr. Price has appeared as a soloist with the Boise Philharmonic, the University Philharmonia, and the Utah Youth Symphony, including the Second and Third Concertos of Rachmaninoff, the Beethoven Fourth Concerto, and the Totentanz of Liszt.